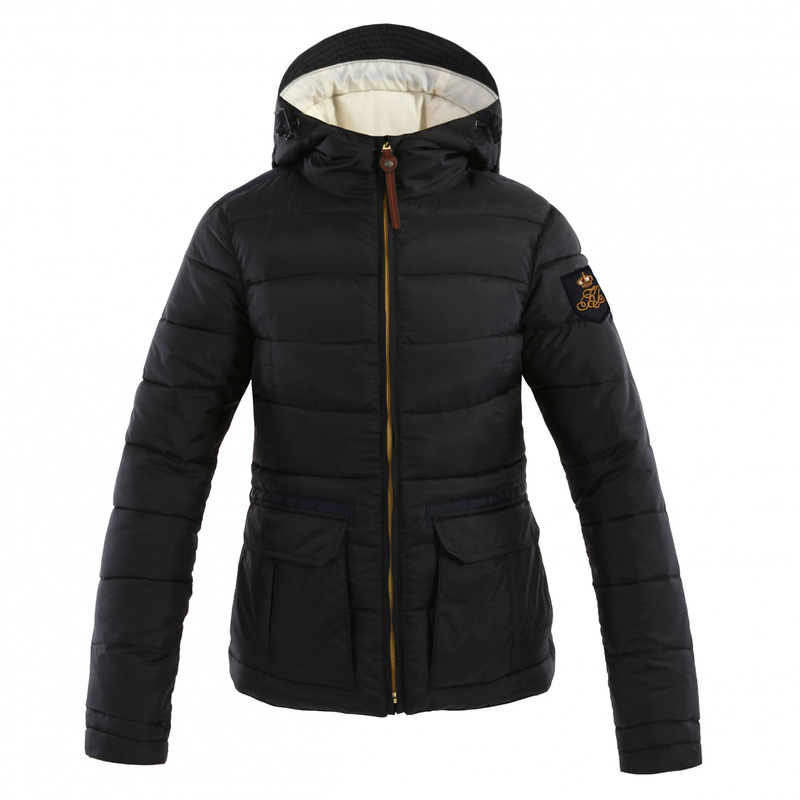 Lightweight quilted ladies jacket with hood. 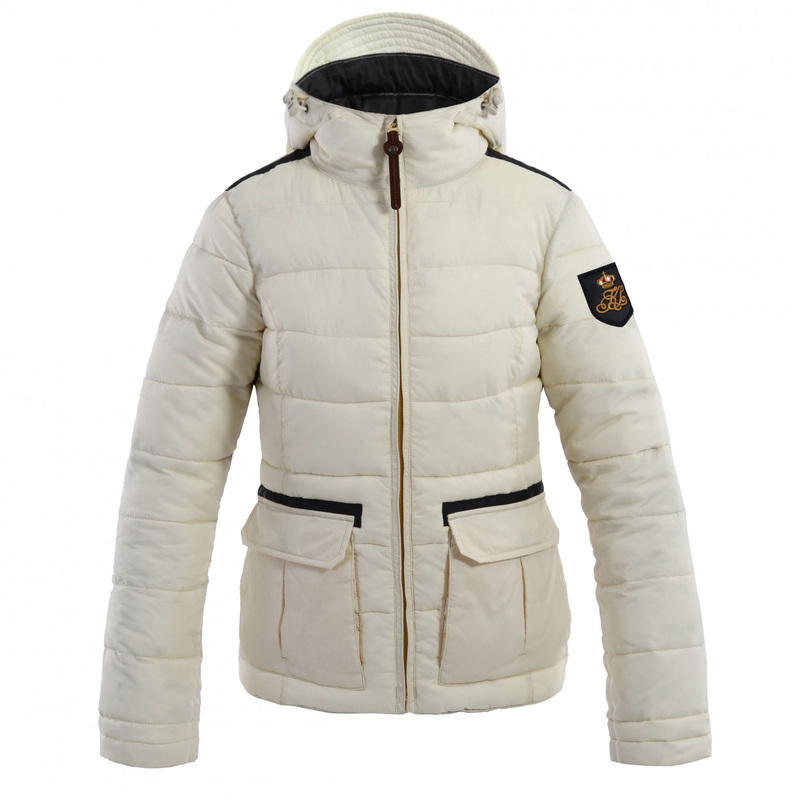 Perfect for cool or cold days. Model fitted to the figure. 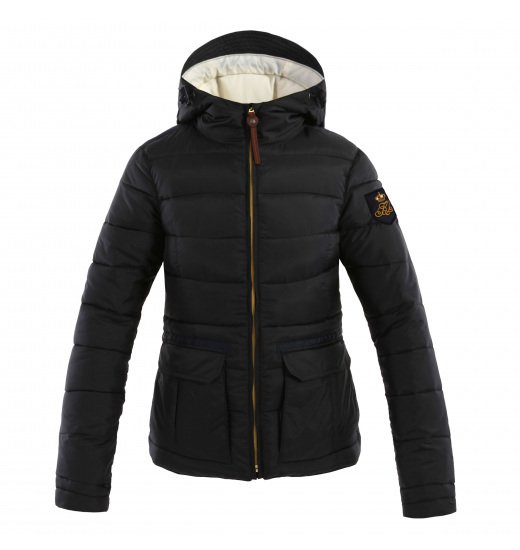 Jacket is made of waterproof and breathable material. Has an elastic waist. On the left sleeve there is a Kingsland logo embroidery.